Andre De Villiers is a South African custom knife designer, who has been a full-time knifemaker since 1990. He makes both custom and mid-tech designs, where the handle scales are done in batches, but every knife is hand finished by the man himself. His designs are unique, tactical, and overbuilt. 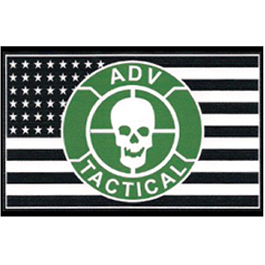 Revolver Tactical is excited to work with Andre and ADV Tactical. ADV Tactical Knives are smooth slicers designed with precision and style in mind. Andre's projects expand into the mid-tech world, using cutting edge materials. Andre's knives are some of the sharpest knives we have handled. Read more about ADV on Andre's Facebook page.